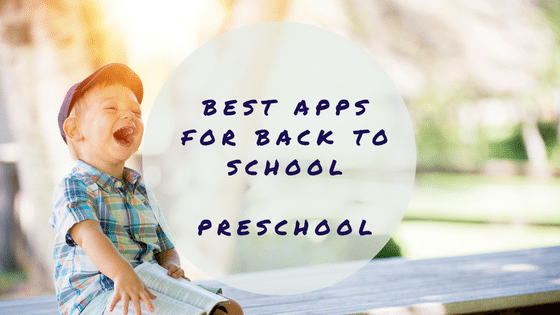 There are many choices of apps for preschoolers in the App Store, so here are a few suggestions of the best of the best from our reviews. These apps will help your preschooler develop important skills such as sequencing, patterning, building language skills and developing problem-solving skills. Our list of reviewed and recommended Preschool apps can make finding the right app for your child easier. Elastic Alphabets for Kids is a comprehensive look at the ABCs and their most common sounds using engaging animations and memorable sound effects. Each letter is presented by name and sound with a demonstration of how to write it, and then three keywords beginning with the target letter. Each keyword has cute animations that will keep children in stitches, activated by a simple tap on the screen. Imagistory allows users to record narration for wordless picture books, encouraging creativity, storytelling, observation, sequencing, and descriptive language. Stories can be saved in video form and shared by adults over the internet. Listening Power Preschool HD is a receptive language program designed for preschoolers. It provides leveled practice with receptive language skills including listening to descriptions, listening to directions, listening for grammar, listening to stories with pictures and listening to stories without pictures. The app features many ways to customize the experience, it can be used with multiple individuals or groups, and it can collect data for the school, IEP, or other programs that need documentation. JumpStart Preschool Magic of Learning offers 15 different early learning activities designed to help young children gain a better understanding of letters, numbers, shapes, sequencing and other readiness skills. The games are colorful, animated and fun, with themes that will appeal to preschoolers.